In a change worthy of the miracle of the loaves and fishes, The Last Supper is turning into a meal that just will not end. 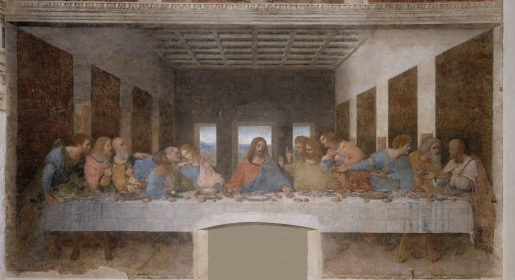 As one of the most famous scenes in the New Testament of the Bible, the last meal of Jesus and his disciples is common fodder for artists from every style and generation. It also makes for easy comparison across generations. As it turns out, the food and portion sizes keep getting larger. Fortunately, the people in the painting didn’t get much larger.